Nissei and Aoki machines the world over operate with Coremans moulds. Coremans has been a prominent player in the ISBM (Injection Stretch Blow Moulding) and IM (Injection Moulding) market for more than 25 years, specialising in reconditioning existing machinery and building new systems. Nissei and Aoki machines the world over operate with Coremans moulds. We build complete tools for PET as well as PP here in Rilland in the south of the Netherlands. With our in-depth knowledge of products and preform design you can be sure that your product will get off to the best possible start. Building new moulds and modifying and reconditioning other brands are highly specialised operations. Where speed is of the essence, our engineers recondition your mould on-site with a mobile welding machine. We also offer standard servicing and maintenance contracts to protect your valuable assets. 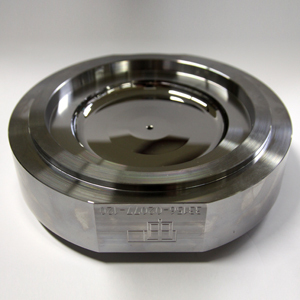 With our highly diverse range of high-precision machining operations, we are your ideal partner for complex parts. We also offer a choice of surface or heat treatment, either at our own in-house facilities or using external resources. You don’t get the finished product until it is 100% complete and has been thoroughly checked.